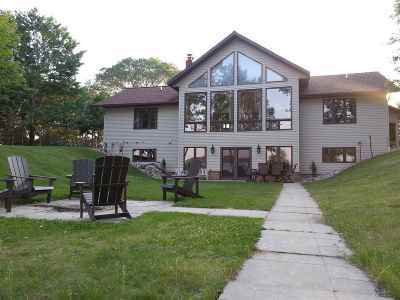 Absolutely Stunning Views from this Lake DuBay Beauty!! 175 feet of WATERFRONT PROPERTY offers water activities from your very own backyard. 3 bed (possibly 4), 3 bath & insulated-heated 3 car attached garage. Open concept floor plan features great room with fireplace, floor to ceiling windows offering a fabulous view, and plenty of room for entertaining all your friends & family. Main floor spacious Master suite has a large walk in closet and full master bath.